The Balearic Islands (; Catalan: Illes Balears, [ˈiʎəz bələˈas]; Spanish: Islas Baleares, [ˈizlaz βaleˈaɾes]) are an archipelago of Spain in the western Mediterranean Sea, near the eastern coast of the Iberian Peninsula. 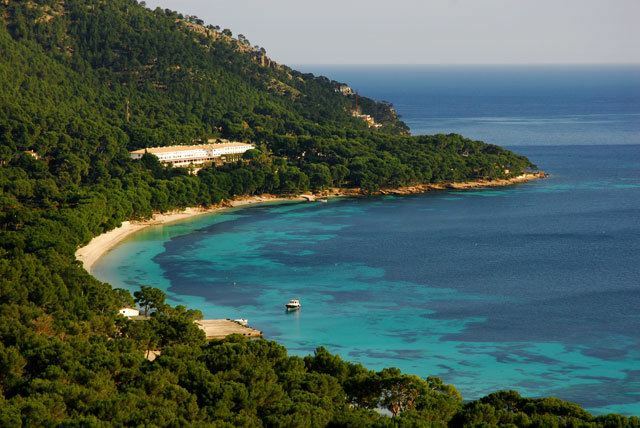 The four largest islands are Majorca, Minorca, Ibiza and Formentera. There are many minor islands and islets close to the larger islands, including Cabrera, Dragonera and S'Espalmador. The islands have a Mediterranean climate, and the four major islands are all popular tourist destinations. Ibiza, in particular, is known as an international party destination, attracting many of the world's most popular DJs to its nightclubs. The islands' culture and cuisine are similar to that of the rest of Spain but have their own distinctive features. The official name of the Balearic Islands in Catalan is Illes Balears, while in Spanish they are known as the Islas Baleares. The term "Balearic" derives from Greek (Γυμνησίαι/Gymnesiae and Βαλλιαρεῖς/Balliareis). 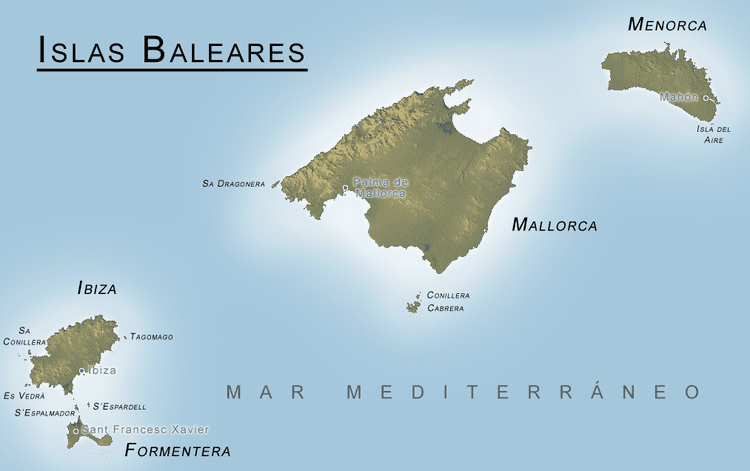 In Latin it is Baleares. The Greek and Roman writers generally derive the name of the people from their skill as slingers (βαλεαρεῖς/baleareis, from βάλλω/ballo: ancient Greek meaning "to launch"), although Strabo regards the name as of Phoenician origin. He observed it was the Phoenician equivalent for lightly armoured soldiers the Greeks would have called γυμνῆτας/gymnetas. The root bal does point to a Phoenician origin; perhaps the islands were sacred to the god Baal and the resemblance to the Greek root ΒΑΛ (in βάλλω/ballo) is accidental. Indeed, it was usual Greek practice to assimilate local names into their own language. But the common Greek name of the islands is not Βαλεαρεῖς/Baleareis, but Γυμνησίαι/Gymnesiai. The former was the name used by the natives, as well as by the Carthaginians and Romans, while the latter probably derives from the light equipment of the Balearic troops γυμνῆται/gymnetae. The main islands of the autonomous community are Majorca (Mallorca), Minorca (Menorca), Ibiza (Eivissa/Ibiza) and Formentera, all popular tourist destinations. Amongst the minor islands is Cabrera, the location of the Cabrera Archipelago Maritime-Terrestrial National Park. The islands can be further grouped, with Majorca, Minorca, and Cabrera as the Gymnesian Islands (Illes Gimnèsies), and Ibiza and Formentera as the Pityusic Islands (Illes Pitiüses officially in Catalan), also referred to as the Pityuses (or sometimes informally in English as the Pine Islands). There are many minor islands or islets close to the biggest islands, such as Es Conills, Es Vedrà, Sa Conillera, Dragonera, S'Espalmador, S'Espardell, Ses Bledes, Santa Eulària, Plana, Foradada, Tagomago, Na Redona, Colom, L'Aire, etc. The Phoenicians took possession of the islands in very early times; a remarkable trace of their colonisation is preserved in the town of Mago (Maó in Minorca). After the fall of Carthage, the islands seem to have been virtually independent. Notwithstanding their celebrity in war, the people were generally very quiet and inoffensive. The Romans, however, easily found a pretext for charging them with complicity with the Mediterranean pirates, and they were conquered by Q. Caecilius Metellus, thence surnamed Balearicus, in 123 BC. 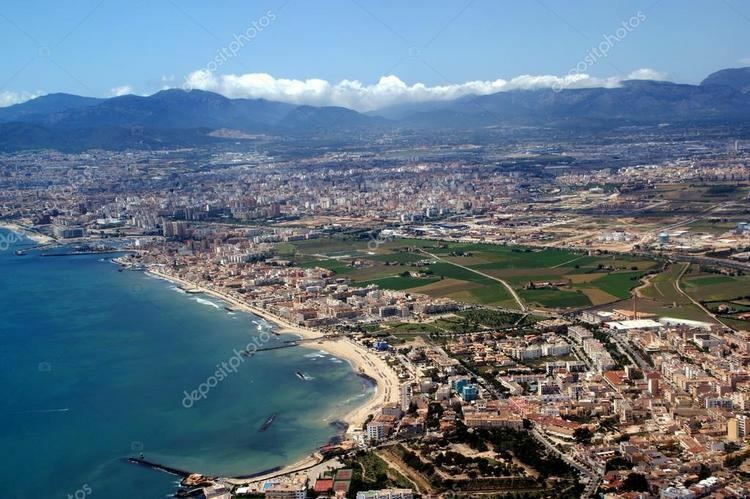 Metellus settled 3,000 Roman and Spanish colonists on the larger island, and founded the cities of Palma and Pollentia. The islands belonged, under the Roman Empire, to the conventus of Carthago Nova (modern Cartagena), in the province of Hispania Tarraconensis, of which province they formed the fourth district, under the government of a praefectus pro legato. An inscription of the time of Nero mentions the PRAEF. PRAE LEGATO INSULAR. BALIARUM. (Orelli, No. 732, who, with Muratori, reads pro for prae.) They were afterwards made a separate province, called Hispania Balearica, probably in the division of the empire under Constantine. For centuries, the Balearic sailors and pirates had been masters of the western Mediterranean. But the expanding influence of the Italian maritime republics and the shift of power on the Iberian peninsula from the Muslim states to the Christian states left the islands vulnerable. A crusade was launched in 1113. Led by Ugo da Parlascio Ebriaco and Archbishop Pietro Moriconi of the Republic of Pisa, the expedition included 420 ships, a large army and a personal envoy from Pope Paschal II. In addition to the Pisans (who had been promised suzerainty over the islands by the Pope), the expedition included forces from the Italian cities of Florence, Lucca, Pistoia, Rome, Siena, and Volterra, from Sardinia and Corsica, Catalan forces under Ramon Berenguer, Hug II of Empúries, and Ramon Folc II of Cardona came from Spain and occitanian forces under William V of Montpellier, Aimery II of Narbonne, and Raymond I of Baux came from France. The expedition also received strong support from Constantine I of Logudoro and his base of Porto Torres. On the last day of 1229, King James I of Aragon captured Palma after a three-month siege. The rest of Mallorca quickly followed. Minorca fell in 1232 and Ibiza in 1235. In 1236, James traded most of the islands to Peter I, Count of Urgell for Urgell, which he incorporated into his kingdom. Peter ruled from Palma, but after his death without issue in 1258, the islands reverted by the terms of the deal to the Crown of Aragon. The island of Minorca was a British dependency for most of the 18th century as a result of the 1713 Treaty of Utrecht. This treaty—signed by the Kingdom of Great Britain and the Kingdom of Portugal as well as the Kingdom of Spain, to end the conflict caused by the War of the Spanish Succession—gave Gibraltar and Minorca to the Kingdom of Great Britain, Sardinia to Austria (both territories had been part of the Crown of Aragon for more than four centuries), and Sicily to the House of Savoy. In addition, Flanders and other European territories of the Spanish Crown were given to Austria. The island fell to French forces, under Armand de Vignerot du Plessis in June 1756 and was occupied by them for the duration of the Seven Years' War. Minorca was finally returned to Spain by the Treaty of Amiens during the French Revolutionary Wars, following the last British occupation, which lasted from 1798 to 1802. The continued presence of British naval forces, however, meant that the Balearic Islands were never occupied by the French during the Napoleonic Wars. Tennis player Rafael Nadal, winner of 16 Grand Slam single titles, and former world no. 1 tennis player Carlos Moyá are both from Majorca. Rafael Nadal's uncle, Miguel Ángel Nadal, is a former Spanish international footballer. Other famous sportsmen include basketball player Rudy Fernández and motorcycle road racer Jorge Lorenzo, who won the 2010, 2012 and 2015 MotoGP World Championships.